I don’t know if the concept of sportsmanship was ever instilled in me or if I just had enough common sense to have it, but in sports, it’s one of the most important attributes to have. So often today, athletes forget this fact. I used to play volleyball in high school and still play golf occasionally. As a female sports fan, I know that there are incredibly frustrating aspects of every sport or game you can play. It can be easy to lash out at fellow athletes, officials, and even spectators. A few recent events have inspired me to take up this subject. I don’t know how many people saw the footage of the most recent series between the A’s and the Royals. It was the most abysmal display of baseball I’ve seen in a good while. The benches were emptied multiple times. Players and coaches alike were tossed from the game. 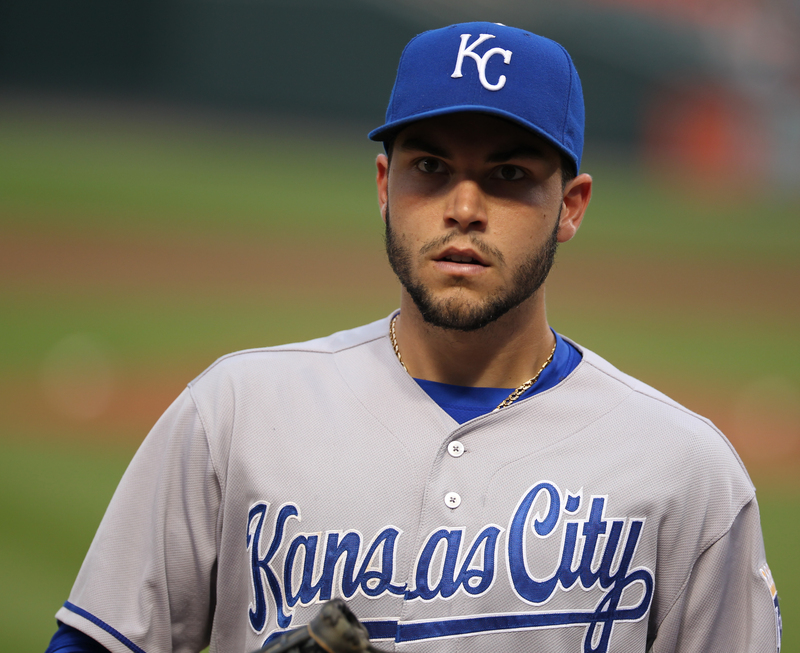 In a final act of defiance, Royals pitcher Kelvin Herrera threw a rogue (100 mph) fastball high and behind Brett Lawrie. As he exited the field, he motioned to his head, implying that next time, he was aiming for Lawrie’s head. As Sean Doolittle tweeted, the whole situation was “Bush league”. Still, both parties were at fault by acting like a bunch of neanderthals, but it’s not this game alone that’s the problem. This sort of stuff happens in sports all the time. People throw punches, take cheap shots, and more. There are so many different things that fuel these acts of poor sportsmanship. Whether it’s a rivalry or just an intense desire to win, this behavior is not okay. Sure, it can be exciting and a huge draw for fans (see: hockey), but it can also be dangerous and career-ending. It’s uncommon for any particular athlete to be praised for their humility and appreciation for peers anymore. 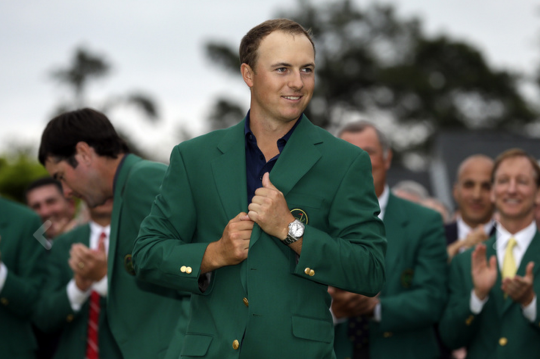 Jordan Spieth, the 79th man to earn his green jacket at the Masters, is a rare example of this humility. Speith demonstrated class and camaraderie throughout every twist and turn of the tournament. He was seen congratulating his peers on good shots and getting excited when he could match their skills. This man is one of the youngest winners of the Masters and set records for unbelievably low scores in many rounds with a whopping 28 birdies total. He has everything in the world to brag about. Instead, he appreciates the game and his competitors. I’m in love with him. It’s fine. It’s casual. Anyway, my point is, for whatever reason people seem to think getting all fired up and violent during a game shows you’re tough. I argue that you’ll garner a lot more respect when you demonstrate respect. Be a Jordan Spieth. He won the Masters, guys. He’s obviously doing something right. This is a short video that I made for my Journalism I class that I thought I’d upload to give you all a more clear picture of who I am as a person and female sports fan. You’ll notice a few snippets of my family in these clips and the fact that I’m in a sorority (surprise!). I hope you enjoy and have a great start to Baseball Season! It’s that time again, folks. The day we’ve all been waiting for: Opening Day. I hope you’re all as excited as I am for the upcoming season, and though the Red Sox are predicted to be pretty awful team this year from a lot of top sources, I couldn’t feel more optimistic. Why, you ask? On Opening Day, anything is possible. The underdog team can have a great start and the momentum could carry them through October to make it to the Series. Maybe I’m just a hopeless romantic, but despite everything, I think this is going to be a great season for baseball. In this spirit, I’ve decided to grace you all with my loud opinions yet again. I’ve compiled a list (feel free to fight me) of the best and most beautiful ballparks in America. Considering I am a college student and thus, too poor to have experienced many first-hand, I can only judge as far as the eyes of the internet and fan reviews can take me. So, without further ado, here it is. Are any of you actually surprised? You’re reading a Red Sox fan blog. I am absolutely, one hundred percent biased on this fact, ladies and gentlemen. I have been to Mets games, Orioles games, Yankees games, and more. Nothing gets me like the place at 4 Yawkey Way. The atmosphere is incredible. 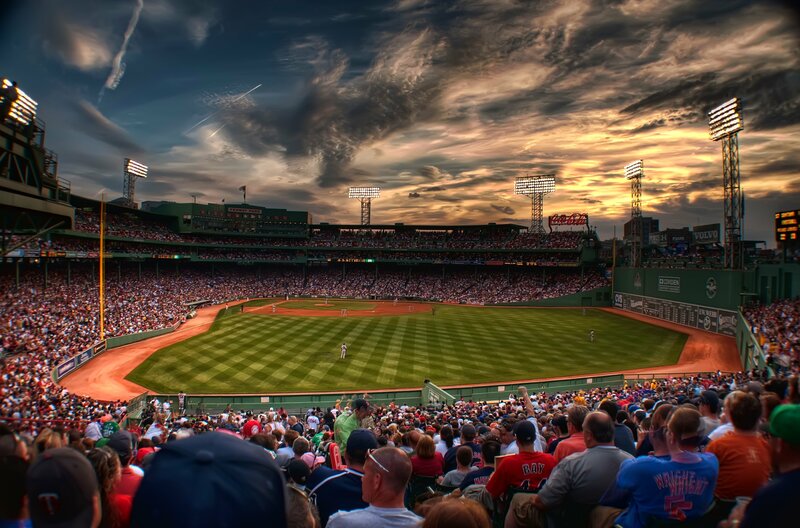 The Green Monster is historic and unbeatable. Every corner in Fenway Park seems to take you back to a different time. There is no other field in the world that makes baseball feel more like America’s past-time again. It’s a must-have experience for fans everywhere. Located in the Bay Area of San Francisco, all I really have to point out here is the view. It’s waterfront real estate for the Giants and fans love it. It’s packed all the time because no matter where you’re sitting, you’ve got the most scenic game experience in the league. Whether or not you call the Giants your home team, there’s something for everyone. Not to mention, I hear the Gilroy Garlic fries are worth the trip. There are a few places in sports with a reputation so good, they’re on my Bucket List. 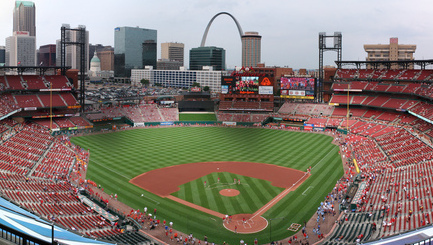 Busch Stadium is one of them. With an breathtaking landscape, including the Gateway Arch and downtown St. Louis, it’s one of the most outstanding places for fans and curious tourists alike. Visitors have nothing but good things to say from the friendly atmosphere to the shopping and dining options in the Ball Park Village. 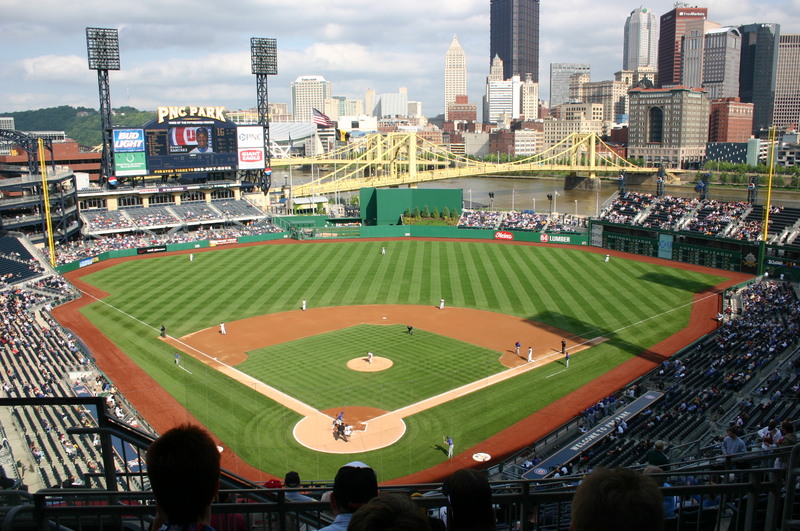 Ranked the #1 attraction in Pittsburgh and located alongside the Allegheny River, PNC Park is an institution of miracles. The Pirates’ home field is so beautiful that spectators have described even losing there a privilege. The Roberto Clemente Bridge and cityscape in the background make for an unforgettable experience. Nearly every person who’s been to a game has said there isn’t a bad seat in the house. 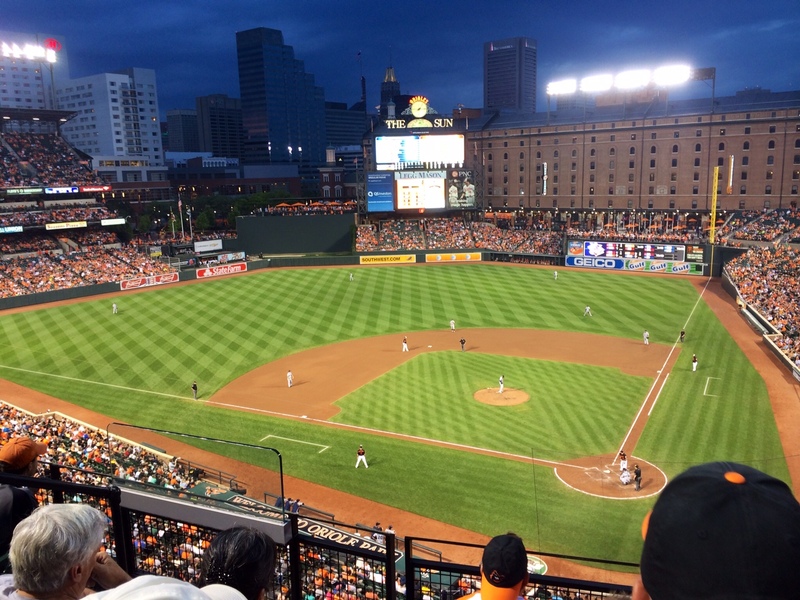 I’ve been to a game in Camden Yards when I was very young and it was sensational. Everyone in the stadium was friendly, hospitable, and generally excited to be sharing the experience of being there together. The Historic Center on the way in is lined with statues of team greats and the refreshments are to die for. Most of all, this place is maybe the only ballpark that made me wish I was the fan of another team. The staff and fans make you feel at home and the game is in its most genuine form. Sports aren’t any fun unless you have someone to root for. Everyone has their favorite team and favorite player. I have tons of athletes that I love and tons that I hate. Jacoby Ellsbury was the most recent, and I’m still extremely bitter about his decision to go to the Yankees. If you’re reading this, Jacoby, you broke my heart. Being so devoted to a franchise or an individual that’s out of your hands can be frustrating and disappointing. It’s also an enormous privilege. You cry when they lose. You still usually cry when they win. No matter what, you’re always, always loyal. My favorite player of all time is my brother Jimmy. I could get into what makes him such a great athlete and teammate and sibling, but he really doesn’t need the ego boost. 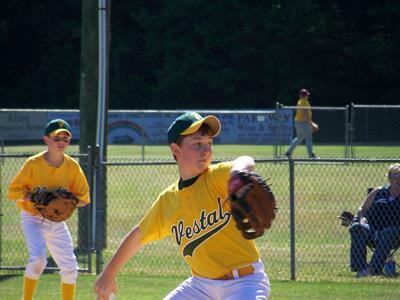 I’ve been watching him for years as he went through tee-ball, basketball, football, and baseball. I still tear up every time he steps onto the mound because it really doesn’t make sense to me that he’s so grown up and playing for a college team now. He’s the class clown, the recipient of sportsmanship awards, and my best friend. He’s also the reason that I got to take a vacation to Florida during Spring Break. 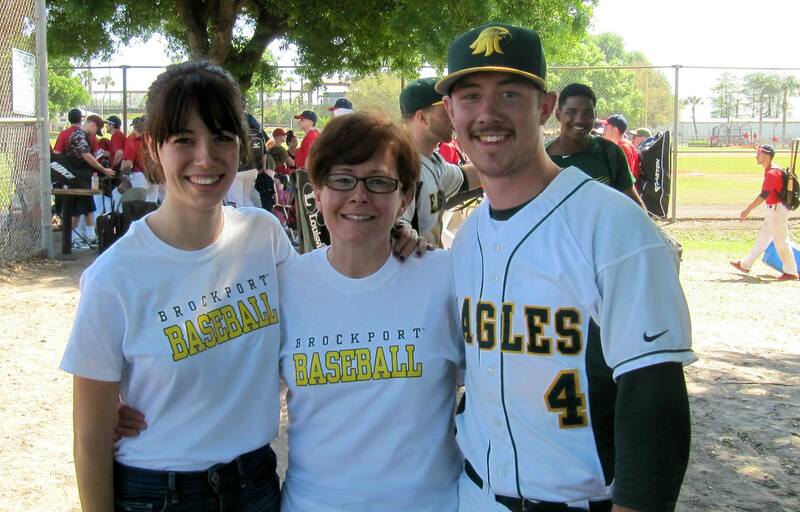 Earlier in the month, I got the opportunity to go down to the RussMatt Baseball Tournament to watch SUNY Brockport’s baseball team compete. This was the end of a very long run without seeing a single baseball game in person, so I was thrilled. The boys were great and won quite a few games (and lost quite a few as well). Of course, the weather was beautiful compared to snowy New York. However, this was only a small part of what made it great. Every new team is like a family, if you do it right. Regardless of the sport, when people come together for something they love, the dynamic is incredible. Spectators from every team are there to enjoy what you enjoy. Talking to people will show you just that. It’s like an enormous extended family. They bicker and scream at each other in the worst cases, but for the most part, everyone becomes a part of something bigger. The officials are like your great uncle who can’t see very well and no one pays attention to them until they say something you don’t like. The opposing teams’ fans are relatives who have violent outbursts and maybe talk a bit too loudly. All of these people serve different roles, but when you look at the big picture, it’s something kind of beautiful. For me, I get the extra luck of actually calling some of these people my real family. My parents, grandparents, cousins, aunts, uncles, siblings, and more are always crammed together in the home stands. As much as you can call this “just a game”, these games are the glue that holds my family together. After generations of cheering for the people we love the most, the fields, parks, and courts have become our dinner table. It’s where families come together and support each other the most. Your favorite team may trade your favorite player. 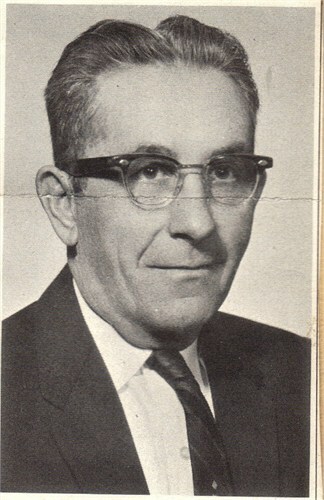 Your favorite coach may go into retirement. You may lose the championship game that you worked all season for. But, when the game stops being a game and starts being a lifestyle, fandom is forever. Mila Kunis. Rihanna. Demi Lovato. Victoria Beckham. Queen Bey herself. What do all of these names have in common? They’re all beautiful, strong women who happen to be celebrities, yes. But, they also happen to be avid sports fans. If you grab any gossip magazine on the rack and open it up, you’ll see tons of these lovely ladies on the sidelines rocking heels that are perfectly coordinated with their team paraphernalia. So many women join them at every single game. So, why are we constantly being scrutinized by men? According to nielson.com, women make up 35% of all sports spectators nationwide, and it continues to grow. Certainly, this is less than the fan base of men. But, does that mean those of us who are enthusiasts deserve less clout? (The answer is no.) Men, we add to the group of people who support your team. Think of the advantages! We’ll have your back the next time you’re getting heckled by the guy a few cubicles down. You should be thanking us, not criticizing us. So, you watch it because the players are hot right? Can you name even one player on the team? Oh yeah? [Insert absurdly vague trivia question here]? Is it because your boyfriend likes that team? Let me explain how this sport works. I could go on and on for ages about this subject, but I’ll try to keep it simple for everyone. Ladies, you are an important and valuable part of any sports fan base. Don’t let anyone make you feel stupid or unworthy for not answering every scrutinizing question he or she throws at you. Whether you’re seated on the home stands, on your couch, or not watching the game at all, be the fan you want to be. Last fall, the nation was buzzing about baseball. Every news and media outlet had coverage on an annual event that we in the athletic world call the Little League World Series. The attention catapulted kids into stardom over the span of one day. Mo’ne Davis was celebrated as the first girl to throw a shutout during the games and was even featured on shows such as Late Night with Jimmy Fallon. Baseball news was at its peak and everybody had their fan favorites. One of the most popular of these was Jackie Robinson West, a team made up of kids from urban Chicago. The LLWS is a place where normal kids can become celebrities (see: Jason Varitek, Boog Powell). The players for Jackie Robinson West did just that. Winning over America with their sportsmanship and genuine love of the game, the boys were a fixture by the time they made it to the Championship. Entering the arena against a team in Las Vegas, all eyes were on them. Nevada was ahead by 3 runs, when a well-executed rally propelled Chicago forward to tie the game. Inning after inning, they continued to play good, precise baseball until they were ahead 7-5. The first baseman stretched in an attempt to complete a double play for the last out of the game. The crowd waited for the umpire’s call. Out. They had done it. They had won. What comes next is a far cry from happily ever after. After a string of festivities commemorating the team’s achievement, including a meeting with President Obama and an Illinois parade, tragedy befell Jackie Robinson West. In a shocking turn of events, officials discovered that managers and coaches recruited ineligible players from outside of their region, included false information on team documents, and ultimately let down the people who trusted them most. This, almost automatically, stripped them of their title. Everything that each and every member of the team had worked for was put to waste. What bothers me most about this story is the stark contrast between child and adult. The young men of Jackie Robinson West embodied everything that makes baseball America’s pastime. They were courteous, respectful, and most of all, had a passion for the game that carried them to the top. Teams who make it far in the World Series don’t get there because they like to play or they’re looking for a scholarship. They get there because that’s all they have: The love of the game. I hope that people remember that, regardless of the stance they take on the issue. Certainly, there is a lot to be said about modern-day youth sports in this story. Parents, coaches, and officials of all types care little for what they have to do in order to see their kids succeed. This is a classic case of good intentions with bad results. In this case, however, the results destroyed an inspiring group of young boys and the city that supported to them. So, to the men responsible for making this decision to play without care for the rules, there’s no place for you in baseball. When I was born, I wasn’t swaddled in a red and blue blanket. I wasn’t given any sort of early childhood propaganda. I couldn’t even tell you when I attended my first game. All I know is that I, a member of a big Irish family and a close-knit American town, have been deeply and unabashedly in love with baseball for as long as I can remember. My family originates from a small town in Upstate New York. My great-grandfather, Timothy Marcellinus Coughlin, was a man who was so small that he made a living shimmying up and down smoke stacks in a power plant. Obviously, this is tough work, but the most tedious part of his job wasn’t the hard labor. Instead, he dreaded the conversation. Day after day, Poppy entered the doors of the plant to the sound of tired men grumbling about their work, their dreams, and most importantly, the results of the latest ballgame. As I said, this story is taking place in New York, so it was constantly the rants and raves of Yankee fans in the break room. This was the age of DiMaggio, Gehrig, and the Babe. Baseball was at its peak in America and no one had anything else to talk about. Trash talk, mostly. It didn’t matter what team you rooted for, so long as you knew that you were no better than the village idiot for cheering on a team that wasn’t the Yankees. This was no game in the early 1900’s. Baseball created feuds that no friendship could endure. Well, it finally got to my great-grandfather, and after weeks of hearing the highfalutin nonsense of the friends of the Bronx Bombers, Poppy made a decision that would change the course of my family history forever. He announced his support of the Boston Red Sox.